So I want Max to eat more fruit. He loves mandarin oranges and grapes and will pass on bananas and apples lately so I took those four fruits and added pineapple and strawberries (which are his second two favorites) to our fridge this week. Then I thought how am I going to get him to want to eat all of the fruits?? So I thought, a dip that he will help me make because that is what the specialist in feeding say to do! Driving home from school yesterday I excitedly told him we were going to make a fruit salad and a dip tomorrow!! Yay!! He was less than impressed. I think he actually might have said, “boring”! 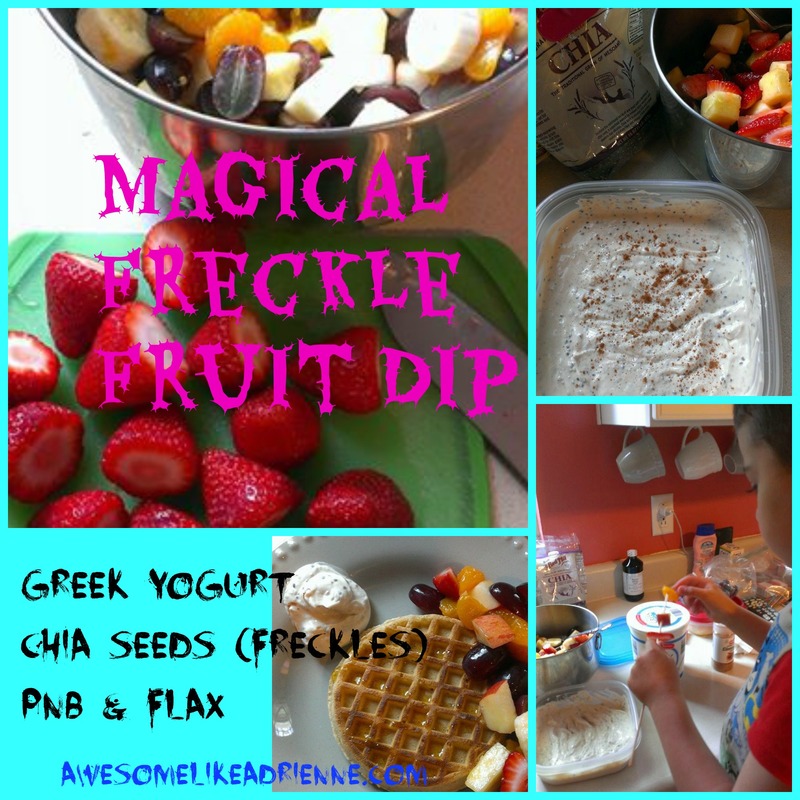 I got a sad face and continued to think…what if I used chia seeds (Which are super healthy) and gave the dip freckles!!! So I asked Max if he knew what freckles were and he said, “yes, like Abby Cadabby” has on Sesame Street. I told him were going to make a MAGICAL FRECKLE FRUIT DIP and his eyes lit up!! Yay!! Last night before bed he asked if were still going to make the FRECKLE DIP! I was so excited, best idea I’ve ever had! Clearly! The boy went to bed dreaming about it! Fast forward to this morning and the dip making. He was semi into it. Mixed the magical freckles in with little enthusiasm but he did it. Then he ate all of the fruit and tried the dip. See, the dip was just a ploy to get him to eat all the fruit. I knew my chances were low on the dip with him. But at least he ate all of the different kinds of fruit and not just his “favorites”. Ahh, exhausting. Bonus-mommy loves the dip and had some at lunch with my fruit salad! Here is a picture of him mixing in the magic! Mix around and store in fridge. Enjoy and have fun!! If you don’t have kids you can still make this, as I said, I love it!! 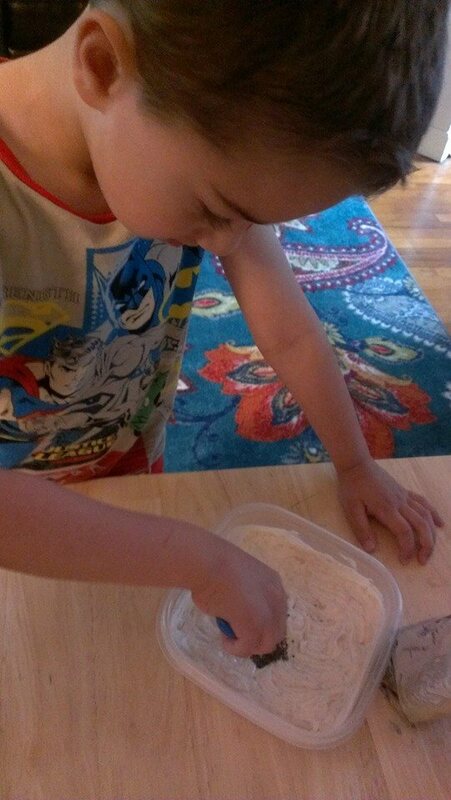 Posted on May 22, 2014 by awesomelikeadriennePosted in Snax with Max!Tagged chia seeds, cooking with kids, fruit dip, fun, kids. Sounds wonderful. That was a great little true story.